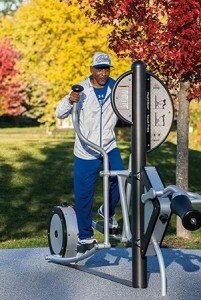 There are hundred of miles of land and water trails in Michigan & Ohio. 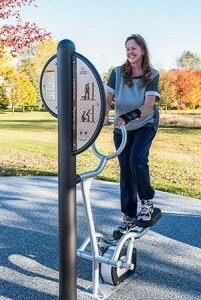 People use these trails for walking, hiking, bike riding, horse back riding, skiing, canoeing, fishing and even snowmobiling! 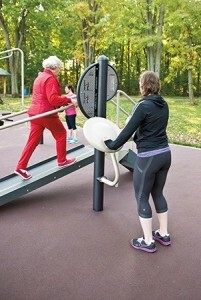 They connect an entire state, bringing people together, promoting a healthy and active lifestyle. 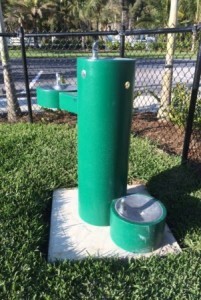 We offer a variety of products to help enhance your land or water trails. 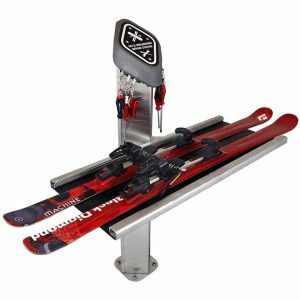 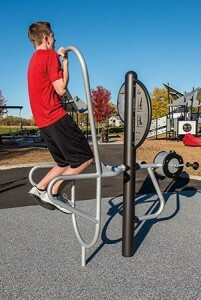 We offer many trail amenities to help increase the use of your trails. 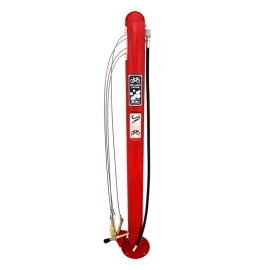 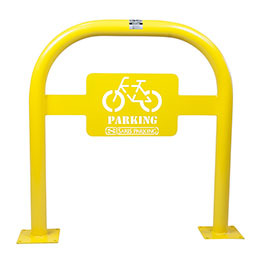 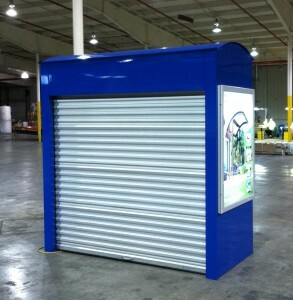 Outdoor bike repair stands are the perfect addition to streetscapes, universities, restaurants and multi-use complexes. 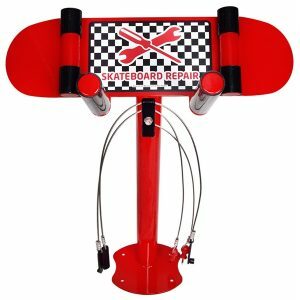 These all-in-one stands will work with all types of rides and bikes. 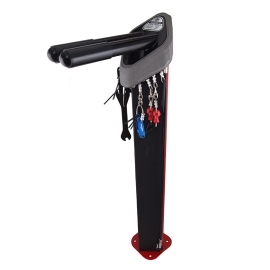 They are designed for indoor or outdoor use and a secure tool fastening system ensures safety and security. 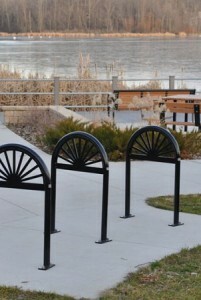 The stations are also ADA-compliant. 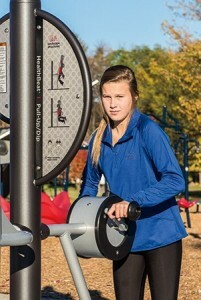 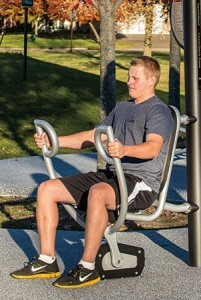 Increase your park and rec trail opportunities with outdoor fitness activity equipment. 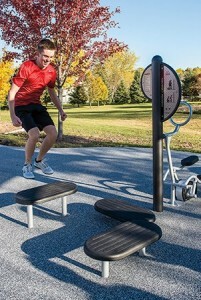 Adding outdoor athletic features can be the perfect addition to your trail system. 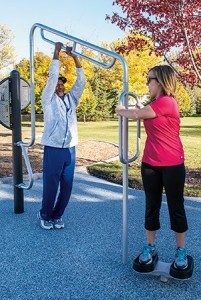 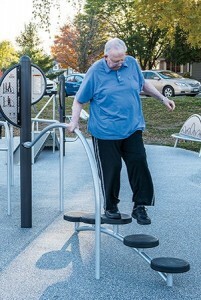 The HealthBeat® system by Landscape Structure, Inc. helps users develop coordination, agility, strength and balance. 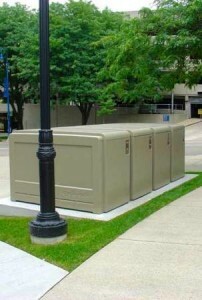 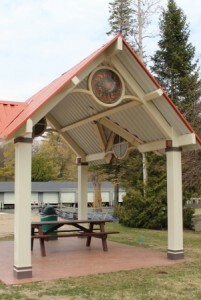 Increasing your waterway usage can be achieved by adding Icon Shelter, Inc. canoe and kayak storage lockers. 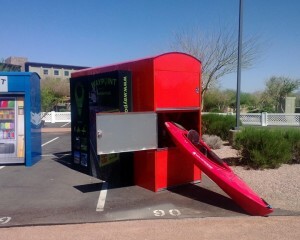 Consider having users renting lockers by the hour, week or entire season. 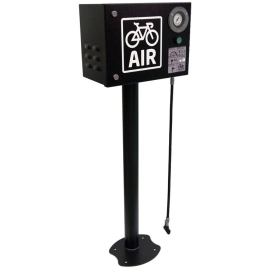 Also consider adding secure vending machines along route stops. 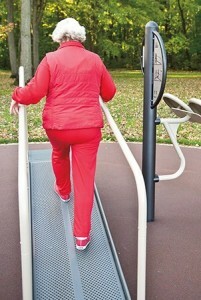 PathMat accessible beach matting is a flexible sand surface that is suitable for wheelchair and pedestrian beach access. 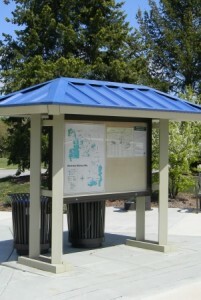 This environmentally friendly, slip resistant product is easily installed and able to be removed and reinstalled per environmental regulations. 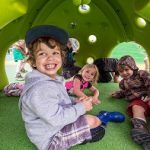 Developed specifically for wheelchair access and stroller access, PathMat beach access matting enables a barefoot friendly surface for beach goers.